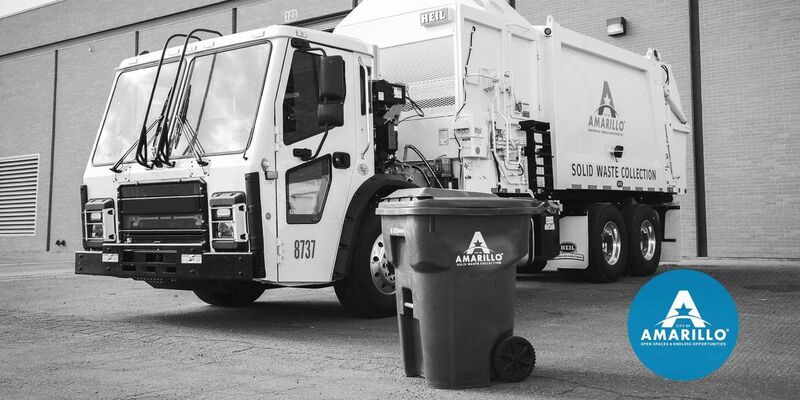 City of Amarillo Public Works Department will host three public meetings in January to inform residents of the new curbside cart program, which starts this month to approximately 2,400 homes. The program will be implemented in three phases, and will utilize a technologically-advanced waste collection system designed to keep neighborhoods clean while decreasing the City’s overall trash disposal cost. Customers selected to participate in the curbside cart program currently have hand-collected curbside trash or front yard dumpsters. Neighborhoods with dead-end or smaller alleyways will also participate. The City has a website which includes information on the curbside cart program www.curbsidecart.com. Tuesday, Jan. 8, 6 p.m., North Branch Library, 1500 N.E. 24th Ave.
Wednesday, Jan. 9, 2 p.m., Simms Building, 808 S. Buchanan St., Room 275. Thursday, Jan. 10, 6 p.m., Southwest Branch Library, 6801 W. 45th Ave.